I Went For Coffee and Took A Turn Into “The Twilight Zone” | Just Me With . . .
My narrator: Meet Roxanne, a divorced mother of five who sometimes forgets to eat, or chooses to save a simple breakfast bar for her children rather than “waste” it on herself. It’s an ordinary day for Roxanne, who had left home for her only true indulgence — getting her morning coffee. She didn’t know that when she returned into her neighborhood, she would cross into . . . The Twilight Zone. Given all these thoughts rushing through my head it was rather amazing that I happened to spot a woman on the side of the road. She had plastic grocery store bags spread in front of her in the snow, was shaking and clenching her hands and seemed to be trying to figure out a way to pick them up again. Clearly she was struggling to carry her groceries home in the snow. I stopped, backed up, asked if she wanted a ride. She only gave pause for a moment and eyed me to make sure I didn’t look like a crazy. (Sometimes I can appear quite normal . . . but I digress). It was bitter cold outside. She accepted the ride, put her bags in the back seat and sat up front next to me, thanking me. She explained that she rushed out so quickly to get some things from the store that she had forgotten her gloves. It wasn’t that the bags were heavy, she said, it was that her hands were frozen and she couldn’t hold them anymore. “My hands hurt so bad,” she said. It didn’t really matter to me why she was in her predicament, I just wanted to get her home. It was too damn cold and icy to walk, especially with groceries, no cart and no gloves. She went on to explain that her brother couldn’t shovel the car out because of his eye. His eye. Huh. I pondered this. Why would his eye keep him from shoveling . . . maybe he’d had surgery? I drifted off to my own little world, thoughts racing for first place in my head. Skid marks on the brain. Thoughts stopped on a dime. “Get OUT!! !” I responded, perhaps a little too energetically, reminiscent of Elaine from Seinfeld. “What?” she responded, looking concerned. It was an unfortunate choice of words for my exclamation — I mean, saying “Get Out!” to a passenger in my car! Smooth, Roxanne. “MY name is Roxanne,” I quickly explained. “Yes. Really. Wow, that’s wild.” It’s a fairly uncommon name. It was surreal. Roxanne said that I could drop her at a nearby intersection but I told her, no, I would take her all the way home. During the ride I discovered that we had gone to the same high school, and though I had assumed she was older than me, it turned out but she was too young for me even to have known her from school. She appeared worn beyond her years. I didn’t recall ever having seen her in the neighborhood or around town. It was odd. So what of my surprise passenger, Roxanne? A woman who shared my name, who was walking alone in the snow-covered street, who failed to think of her own needs while rushing to meet the needs of others. The consequences of her neglect of self was finding herself standing in the snow with frozen fingers, groceries at her feet and blocks from home. For whatever reason– her family was not there to help her and she had to accept a ride from a stranger. I’m that Roxanne, too, coming home with a sandwich for a child so that she could shovel another family’s walk but bringing no food for myself. I almost said to the other Roxanne, “How could you leave home without gloves? You’ve got to take care of yourself. You’re no good to anybody if you get sick or frostbite.” But what stopped me, other than that being creepy coming from a stranger, is that other people have been saying that to me lately. My therapeutic goals are largely based upon meeting my basic self-care needs without guilt. “Roxanne, have you been eating and sleeping? You can’t take care of your family if you don’t take care yourself.” I’ve heard often. Too often. Did the universe send me that other Roxanne to remind me that I need to help myself? I mean, I know that when I get sick, the whole system fails. I know this, yet I still need reminders that protecting myself from the elements, eating, sleeping and yes even doing something just for my sheer enjoyment of it is as important as, well — anything. Somehow, that reminder got in my car that day, and her name was Roxanne. I dropped Roxanne off feeling good about having helped her, since it was so very cold outside, but I knew that both of us need to take care of ourselves. I need to take care of me. Maybe picking up a reflection of myself — what I could become, what I have been . . . was meant to be that day. My Narrator: Roxanne, a functioning, yet melancholy divorced mother who often puts her basic needs well behind those in her care, stops in the snow to assist an eerily familiar woman in distress, a woman who perhaps shares more than just her name in . . . The Twilight Zone. Just Me With . . . an over-active imagination? P.S. I told my therapist about it. She queried whether the woman was real. I’m not even going there. 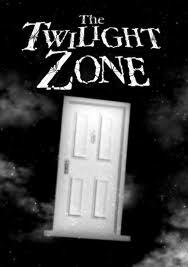 See the Sequel: The Twilight Zone — Again? Seriously? Wow…that is strange. Well, they do say the Universe works in mysterious ways right? Take Care of yourself…you deserve it just as much as your kids do. Thanks, yes it was strange. Been doing a lot of mind bending and thinking and then this happened. Weird. Thanks. Yes I know it’s like they tell us on the airplane to put the oxygen on ourselves first. Easier said than done. Do take care of yourself…. this is kind of an eerie story, but neat at the same time. I am trying to take better care of myself. I realize it’s a problem sometimes. Thanks. It seems to me the larger problem for me would have been the therapist’s reaction! How wrong I was. I do kinda wonder if she was real. Where did she live? Do you have a brother? Does he have eye issues? Will he have eye issues? 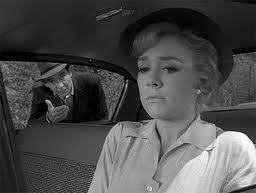 These are the things we wonder after a Twilight Zone episode. You know, had I come home and had my own snow shoveled by my children — that would have left me mumbling in a corner somewhere in another dimension.